Editor’s Note: This is part 4 of my new, ongoing series entitled Marilyn’s Journey to Really Master the Real Foods Diet and reverse the curse of Type 2 Diabetes. I have been working with a Certified Nutritionist for about six weeks and my challenge has been to eat grain free and balance each meal with 30% fats, 30% protein, and 40% low glycemic carbohydrates. When I was cooking in bulk for myself and my daughter, my new grain free eating was going well. I had so many cooked veggies, and delicious meats, curry, and marinated meats I felt like a Queen. But my work schedule and single life-style doesn’t really enable me to be on a non-stop, creative cooking spree. One day, I started feeling desperate for a baked good of some type. I was feeling like I was going into grief, for the loss of baked goods. I was getting filled with a bit of self-pity for a day or two. Baking has been my passion since elementary school when I learned to make brownies from scratch from a child’s version of a Betty Crocker Cookbook. I WAS The Urban Homemaker for twenty years (sold the business in 2011), I taught bread baking to thousands via classes in my home, my bread recipe, and by my catalog and my websites for over thirty years. My Marilyn’s Famous Whole Wheat Bread recipe is all over the internet. I started giving up whole grain bread and sandwiches back in the late nineties, but I continued baking for my family until they all left home. I learned to ferment or soak my flour and make sour dough breads that I thought were agreeing with me. Don’t get me completely wrong, I have been putting my baking energy into preparing vegetables more creatively. But any new habit is not usually an overnight success. They say it takes 21-28 days to create a new habit. That means 21-28 straight days of doing the same thing over, and over again until it is as natural as brushing your teeth twice a day. You do it without thinking, without effort, without feeling forced. I quickly realized that eating grain-free did not mean I would never see a cookie, biscuit, or muffin again if I use non-wheat flours such as almond flour or coconut flour or a combination thereof. The internet is loaded with free- recipes, tips, and information, so what was holding me back, or causing a pity-party? You can take the girl out the kitchen but you can’t take the desire to bake away from her forever for crying-out-loud! I’m a work-in-process. 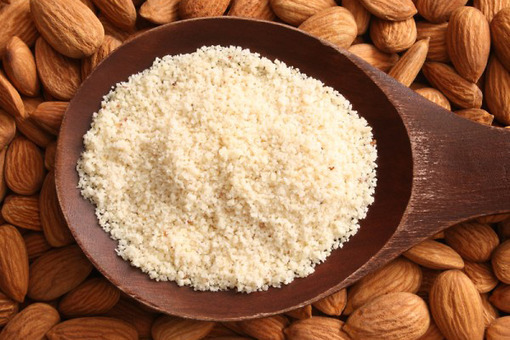 If you need some low carb/no carb recipes here are my top almond flour recipes so far. 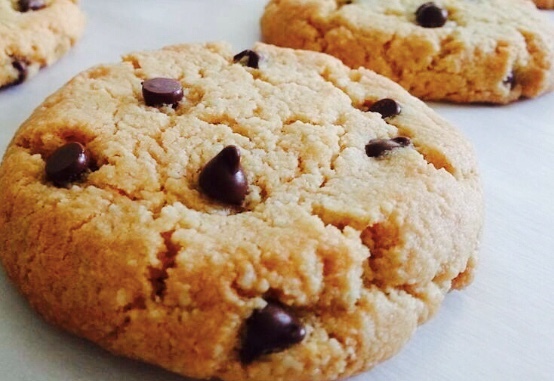 Almond flour chocolate chip cookies are probably better than your family favorite! Mix all the ingredients together with a hand mixer or by hand in a medium sized mixing bowl. Place 1 founded Tablespoon of dough onto an ungreased cookie sheet or on baking parchment, and flatten the dough to about 3/8 inch with a cup. (Thinner cookies will bake faster, but will not raise up) Bake in a 350 degree oven for 11-13 minutes or until the edges are golden brown. Allow to cool briefly and then place cookies on a cooling rack. This recipe makes 12 moderate sized delicious cookies, you would not realize there is no wheat flour in them. 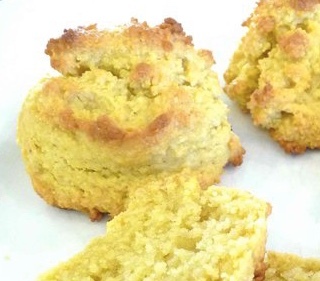 These biscuits are extremely fast and easy to make. Depending on the size of the biscuit you will get between 8-15 biscuits. I made smaller biscuits and froze the rest and pull one out as desired since I live alone. Preheat the oven to 350 degrees F. Mix together the almond flour, baking powder, and unrefined salt. Using a pastry blender or fork, cut in the butter and coconut oil until you have coarse crumbs or a crumbly mixture, pea sized or smaller. Add the eggs and honey or syrup mixture and mix well to form a dough. Spoon the biscuit dough on to a parchment lined cookie sheet like a “drop” biscuit. Bake 15 minutes or until the edges are browned. Part 1 of the series is entitled, Eat Wheat?